Putter Boy 14 oz. Moscow Mule with screenprinted logo. 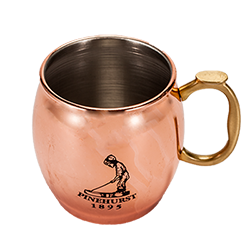 This reliable and versatile mug combines a shiny copper-plated finish over a stainless steel base. With a sturdy handle, this is the perfect choice for serving the popular cocktail.